Did you know that watermelon is 92% water? It is one of the highest water-content fruits and contains rehydration salts such as calcium, magnesium, and potassium that can actually hydrate you more effectively than water or sports drinks. Watermelon also infuses quickly, making it perfect for throwing into your water bottle on your way out the door. One small watermelon should be enough to make a week’s worth of infused waters. Cut slices as you need them instead of all at once. 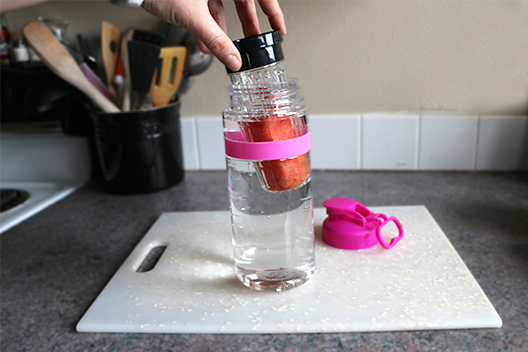 Fill your water bottle with cold water, then lower the fruit infuser into the bottle. 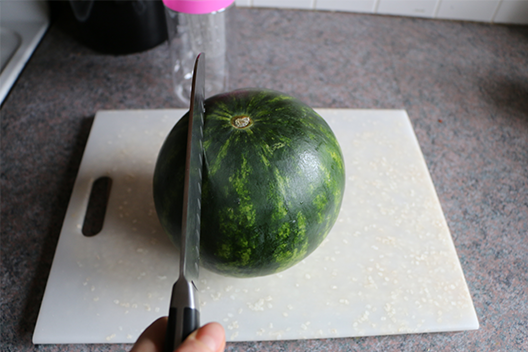 Pouring water directly onto the watermelon can cause it to break into pieces. Watermelon is one of the few fruits you can enjoy after it has been infused. After drinking, you can snack on the infused watermelon to quench your thirst and replenish yourself with a few calories. 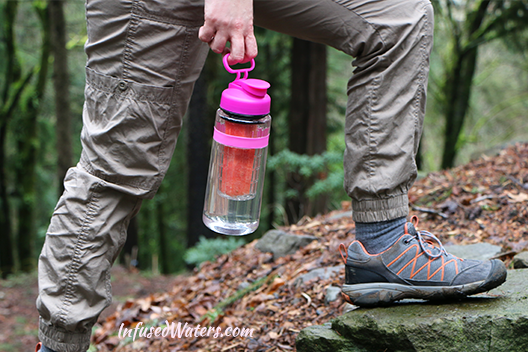 -We love this new water bottle by Healthful Hydration! It is 12 oz bigger than the AdNArt Bottle, plus it also has a comfortable carrying strap. The bottle is made of BPA-free, Tritan plastic and is safe to use in the dishwasher. Save $5 by visiting healthfulhydration.com and using the code HEALTH2015! -Your workout water bottle should include as much water as possible, so don’t bog it down by having too many ingredients, especially those that you can’t eat like lemon or orange slices. -Strawberry slices or cucumber slices are a great options, too! 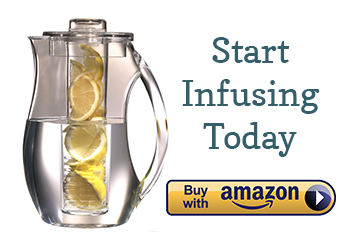 Any infused water recipes for diabetic patients? All of the recipes would be fine for diabetics because you wouldn’t be getting a very significant amount of juice in the water. But, your best options are the recipes that would have cucumbers, lemon, or watermelon as they are the lowest calorie. The herbs are “free” on a diabetic diet. So, they are good options. Watermellon and basil water is one of my favorites!! Hello, may i ask you something. Is it right to put the infused water into a fridge? Because my friend said that infused water is more tasty when its cold. This idea such a brand new in Indonesia. Thankyou Amy. I am eager to find out about the cold water. I am new to infused water myself and I always make mine at night and store it in the fridge over night. I drink it all day and use the same fruit throughout the day at work and refill my bottle as needed with cold water each time. I feel awesome and energized all day. I have just started doing infused water. 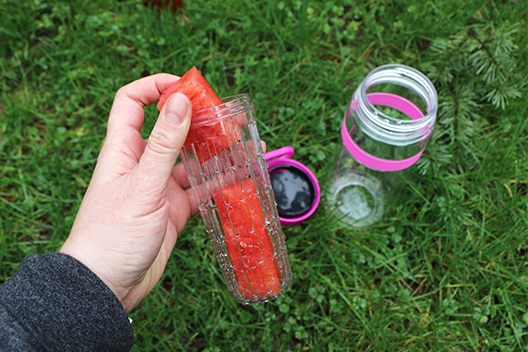 How long can a fruit/veggie stay in the water infusion bottle? How many times can I use the fruit/veggie before discarding it? Will it not get oxidized? Thanks. funnily enough, you can find the EXACT same bottle at cotton on!